In the two weeks since the Charleston Church Massacre, 7 predominantly black churches—all located in the south—have been set on fire. This averages one serious fire every two days and, while I can’t find any statistical data on baseline church-fire rates, this cluster of fire certainly seems suspicious. On 6/21/15, just four days after the Charlestown massacre, the College Hill Seventh Day Adventist church in Knoxville Tennessee was set on fire, along with the church van in the parking lot, in an apparent arson case—nobody has been caught and there are no suspects. On 6/23/15, the God’s Power Church of Christ in Macon, Georgia was severely burnt in an apparent arson—nobody has been caught and there are no suspects. 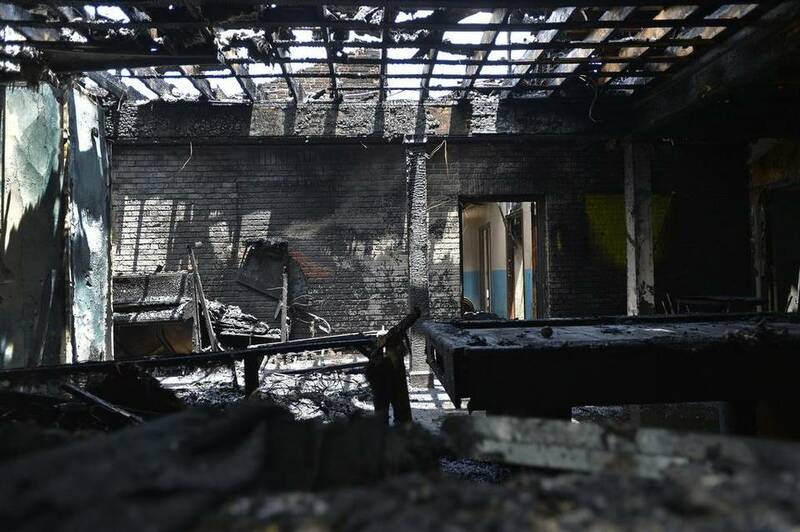 On 6/24/15, both the Briar Creek Road Baptist Church in Charlotte, North Carolina and the Fruitland Presbyterian Church in Gibson, Tennessee, were absolutely destroyed by fires. The Briar Creek Road Baptist church fire is currently being investigated by the FBA and ATF as an arson, while there have been conflicting reports about the Fruitland Church and whether it was caused by arson or by lightning (so it is possible that fire was just bad luck caught up in a string of arsons). On 6/26/15, two more churches burned. The Greater Miracle Temple church in Tallahassee, Florida and the Glover Grove Missionary Baptist Church both suffered severe damage from fires that are still being investigated. On 6/30/15, yet another predominantly black church—this time, the Mount Zion African Methodist Episcopal Church in Mount Zion, South Carolina—was destroyed in a fire of unknown origin. While some state officials are saying that these fires are probably not arson (except for the three that are obviously arson), but rather products of the large lighting storms to be moving through the region, this is an extremely dubious claim. These fires are happening weeks after one of the worst racial acts of terrorism in the recent past and only in extremely conservative areas of the old confederacy. Second, they have all occurred at predominantly-black churches and I have yet to see a report of white churches burning near any of these black churches (presumably black churches aren’t just particularly vulnerable to lightning). Third, all of these fires were started after-dark and when nobody was in the church to observe what happened. Finally, I would just like to point out that 4 of these church burnings occurred less than 48 hours after a series of southern states publicly announced their decisions to start removing the Confederate flag from their public spaces. Put simply, I don’t buy these coincidences, particularly given the history of this type of fire. 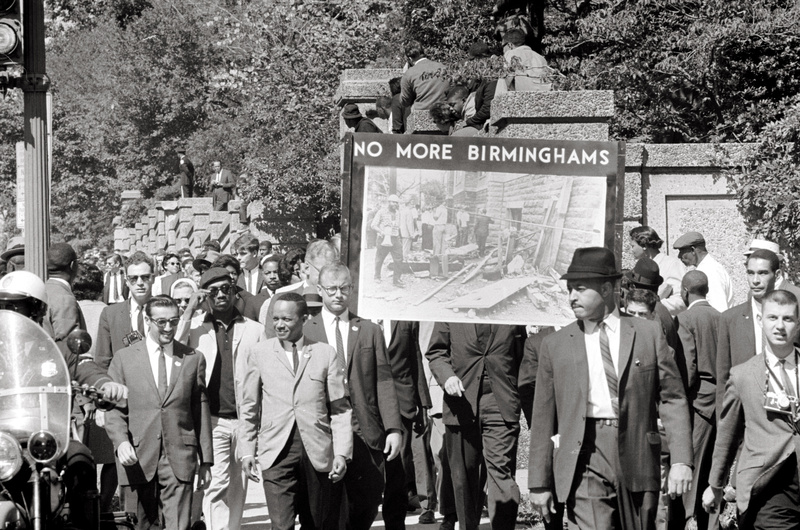 Racists in our nation have a truly horrific past of burning or even bombing black churches (enough that Birmingham, Alabama, was once nicknames “Bombingham”) and this looks to be the continuation of this legacy. This assault on black churches stems from their importance in the black community as a meeting-place and organizational institution for civic engagement. During slavery, black churches were extremely active in abolitionism and were the source of several slave revolts (in fact, the Charlestown Church massacre happened at a church that led such a revolt). Then, during the civil rights movement, black churches produced some of the greatest civil right leaders (ex. MLK) and helped organize protests. Since the civil rights era, black churches have stayed active in the community and still serve a very important role as a voter registration facilitator. Even discounting the church fires still under investigation, three of these fires were absolutely arson and represent a pattern. It is unlikely that these church fires are the result of some sort of coordinated effort by a single group of extremists, but the sad fact is that burning black churches is so ingrained in the racist lexicon that no coordination is required—after the first racist sets fire to a church, others take note and follow suite. This type of copycat behavior is well-established in psychology and has helped contribute to the frequency of mass shootings, suicides, and riots. When black churches are burning in the southern half of the United States in the immediate aftermath of an overtly-racist massacre at a famous black church, it is laughably stupid not to call acknowledge the issue of racial violence. Yes, each individual case must be investigated fully, but the pattern is pretty clear—something is destroying black churches at an alarming pace and must be stopped. 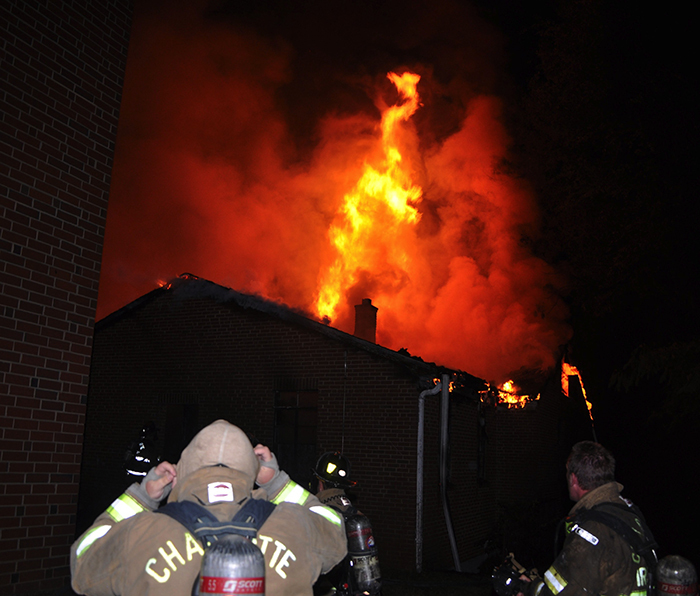 Roughly 5 churches catch fire a week NATIONALLY. 7 in one region, in such a heated racial climate in one week is absolutely a patter, and if the ATF and FBI can’t see that, they are complicit. Additionally, when I lived in Seattle, I also saw a church get hut by lightning. It blew a hole in the roof, it did not turn into a fully engulfed blaze. It isn’t like sage brush or dry dead trees was hit, it was a mostly brick church. Finally, you should see the police presence in front of a predominantly white church to protect from a planned silent vigil (which is all it ended up being) and contrast that image with these burning churches. The Southern governments and law enforcement are complicit in these fires, in my opinion. Anyone who says this isn’t racist actions is a racist! !